The start of the 2018 Monster Energy NASCAR Cup Series season has a look of familiarity for driver Kevin Harvick and the No. 4 Jimmy John’s Ford Fusion team at Stewart-Haas Racing (SHR). For the first time in several years, the season will kick off with the same race format, points system, manufacturer, primary partners and series sponsor from the previous season as the team heads to Daytona (Fla.) International Speedway for the season-opening Speedweeks. The biggest changes for Harvick and the No. 4 team this year include an updated Jimmy John’s livery featuring a reversed color scheme with a white hood, black fenders and red highlights; new SHR teammate Aric Almirola driving the No. 10 Smithfield Ford Fusion; one fewer pit crewmember over the wall on pit stops; and a new NASCAR inspection process. While Jimmy John’s is on the hood for the Daytona 500, for the third consecutive year Busch Beer returns to Harvick’s No. 4 Ford Fusion at Daytona for Sunday’s Advanced Auto Parts Clash – the 75-lap, non-points-paying race that kicks off the 2018 NASCAR Cup Series season. Busch’s rich racing history began in 1978, when the brand sponsored the award presented to Cup Series pole winners. Busch went on to be the “Official Beer of NASCAR” from 1988 through 1997 and was the title sponsor of the stepping-stone division to the Cup Series – currently known as the NASCAR Xfinity Series – from 1984 through 2007. The last Busch-sponsored driver prior to the company’s return in 2016 was NASCAR Hall of Famer Cale Yarborough and his iconic No. 11 car during the 1980 season. Both Jimmy John’s and Busch have reason to be optimistic as Harvick and the No. 4 team head to Daytona. 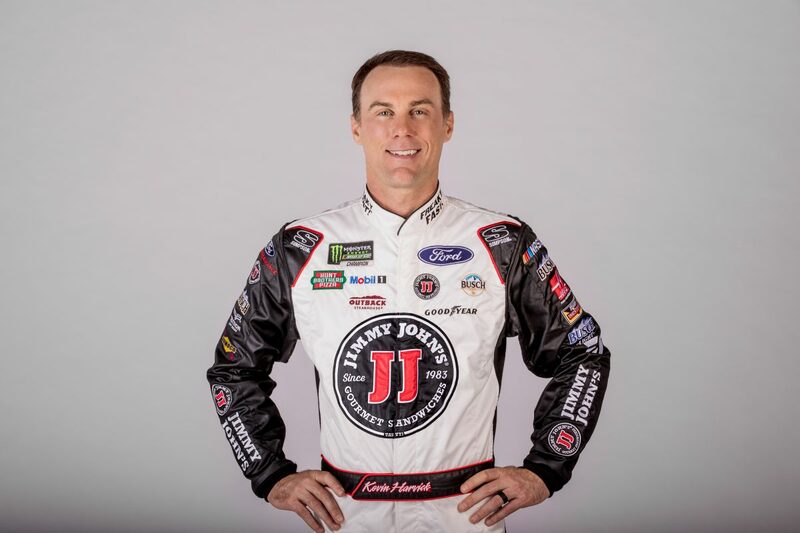 As Harvick enters his 18th NASCAR Cup Series season and his fifth at SHR with crew chief Rodney Childers at the helm, he is looking to score his second win in the Daytona 500. He won the famed Harley J. Earl trophy in 2007, when he beat Mark Martin to the Daytona 500 finish line by .020 of a second on the final green-white-checkered restart. It was the closest Daytona 500 finish since the inception of computer scoring in 2003. The race still stands as the second-closest finish in Daytona 500 history. Harvick also has three wins in the Clash at Daytona – 2009, 2010 and 2013 – tying him for second-most with his team owner Tony Stewart and NASCAR Hall of Famer Dale Jarrett. In the 2009 Clash at Daytona, Harvick survived an incident-filled race that saw a record eight caution periods and less than half the starting field make it to the checkered flag. The following year, he joined Neil Bonnett, Ken Schrader and Stewart as the fourth driver in event history to win consecutive races, and he did so driving a backup car he was never able to practice, passing Greg Biffle with two laps remaining in a green-white-checkered finish. NASCAR declared Harvick the winner when a multicar incident ended the race under caution. In his 2013 win, Harvick led 40 of 75 laps, dominating the second and third segments en route to his third Clash at Daytona victory in five years. If Harvick can add his name to the Harley J. Earl trophy for a second time Feb. 18 in the season-opening Daytona 500 at “The World Center of Racing,” he would be the 11th driver in NASCAR history to win the iconic event more than once. It would also put the No. 4 team in prime position to secure a berth in the 2018 playoffs as it attempts to win a second NASCAR Cup Series championship in four years. SHR has two Daytona 500 winners on its roster. You are one of them. How satisfying is it to win that race? Does winning one Daytona 500 make you even hungrier for another one? How helpful is it to come out of Daytona with a strong run? A win for you in this year’s Daytona 500 would be a heck of a party with Busch beer bringing 500 fans to the Daytona 500. This is almost unprecedented activation by a NASCAR sponsor and you are at the center of it. What do you think of this? You will have one fewer person servicing your racecar during pit stops this year. Instead of six crewmembers, you will have five. This is the same for everyone, but how do you think it will change the dynamic on pit road? If there is a slow pit stop, are you a little bit more understanding knowing how much your guys now have to multitask during a stop?